Pharmacy technicians in Pennsylvania do not require licensure or registration to work within the state. 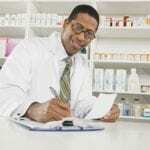 Current laws hold Registered Pharmacists responsible for the technicians they employ. 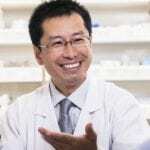 As such, any misdemeanors, negligence and misconduct on the part of technicians could result in actions taken against the pharmacist and pharmacy. The law does not require professional certification but employers encourage pharmacy-related education and certification in new employees. Pharmacy Technician candidates must have a high school diploma or equivalent to pursue professional certification. The best pharmacy technician classes in Pennsylvania are those accredited by the American Society of Health-System Pharmacists (ASHP). While not required, formal training programs help students prepare for the Pharmacy Technician Certification Board (PTCB) examination to obtain national certification (CPhT). PIT offers pharmacy technician students experienced instructors, parallel learning, flexibility, choice of externship, portfolio building, career development and an intimate learning environment. Students complete the program in two semesters plus clinical externship or internship. Course content includes pharmacy terminology, health care skills, therapeutic response, dosage calculations, pharmacy technology, pharmacy records, billing and pharmacy externship. Tuition is $5,625 for full-time students or $375 per credit hour for part-time students. The cost does not include technology fees, graduation fee, books and supplies. The pharmacy technician certificate program at Kaplan Career Institute is available at the Franklin Mills Campus. Experienced Licensed Pharmacist instructors facilitate 760 hours of training over a period of 36 weeks. Graduates complete the program with a minimum of 52.5 quarter credit hours. Upon completion of the classroom instruction, students must complete 200 hours of clinical externship as a requirement for graduation. Course content includes law and ethics in healthcare, infection control, pharmacology, vital signs, medical terminology, physiology, anatomy, medical emergencies, first aid and CPR, prescription and non-prescription drugs, circulatory and immune systems, absorption systems and much more. Class schedules include morning, afternoon and evening classes. Tuition is $$14,345 plus $1,109 for books and supplies. Lincoln Technical Institute facilitates a pharmacy technician diploma program at its Center City Philadelphia Campus. Program instructors prepare students in two ways: first by equipping them with the skills to execute major job responsibilities and second by documenting the knowledge and attitude that drives the execution of responsibilities. Course modules in the 34.5-credit program include pharmacy systems, dosage and calculations, medical ethics, safety and law, therapeutic response to medication I and II, pharmacy technician practical and pharmacy clinical externship. Day students complete the program in 28 to 30 weeks (720 hours), and evening students can graduate in 44 to 46 weeks. Tuition is $14,173 plus expenses for books and supplies. This comprehensive pharmacy technician workshop at Community College of Philadelphia’s Main Campus prepares students to assist pharmacists at hospitals, community and home infusion pharmacies. Students learn how to prepare prescriptions, medication and side effects, dosage calculations, IV flow rates, inventory control, pharmacy math, billing, reimbursement and communication. The program is specially designed for high school graduates and other individuals looking for a career in health care. Graduates are prepared to take the national PTCB exam. Tuition is $1375 inclusive of the course textbook.